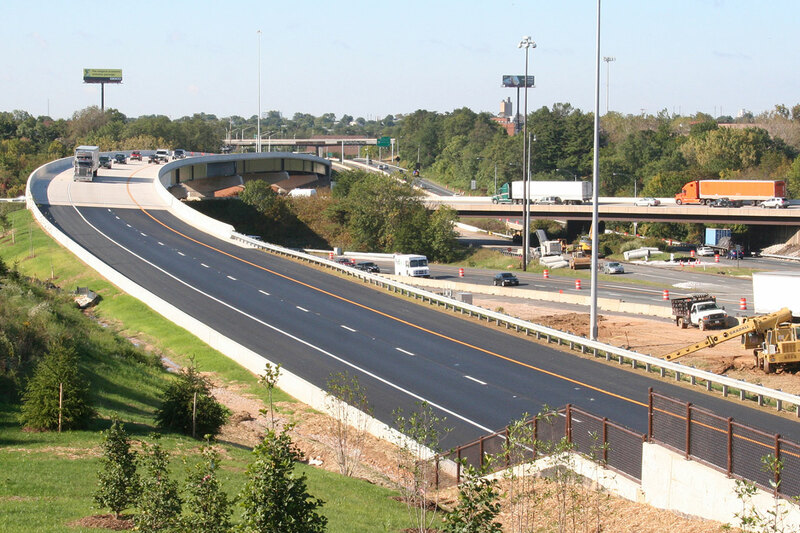 Century had several roles in a massive undertaking to reduce congestion and reconfigure I-95 – specifically a 3.9-mile section at the I-95/ I-895 interchange—with the help of two new Express Toll Lanes and four general purpose lanes in each direction on I-95. Century was responsible for the design of a 1,424-foot-long, six-span flyover bridge linking the I-895 northbound with the I-95 northbound roadway. 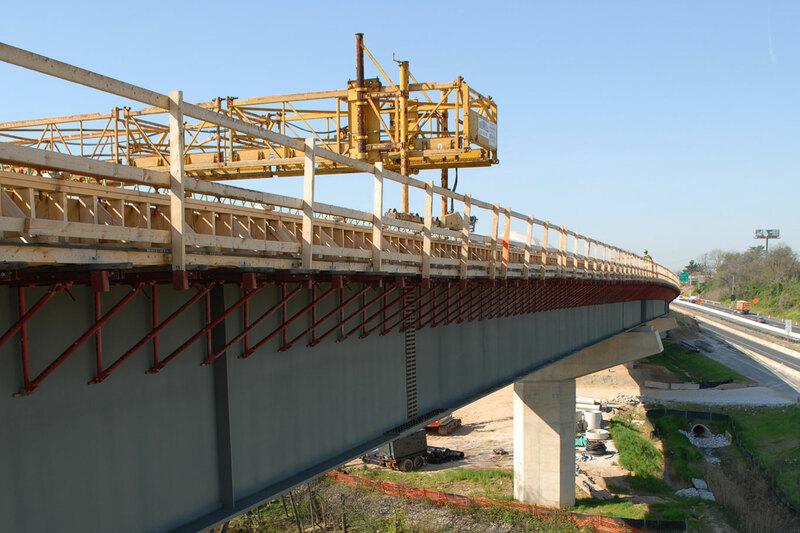 The continuous curved steel plate girder bridge required extensive vertical and horizontal geometric alignment studies to provide roadway tie-ins. 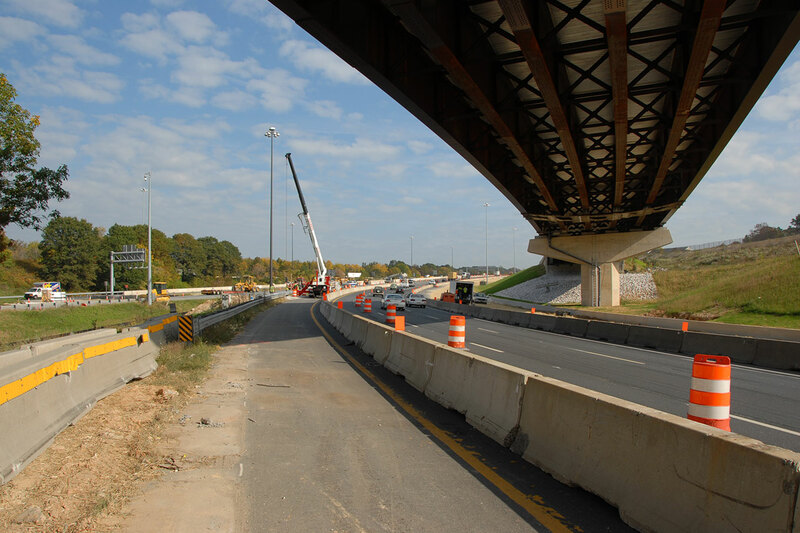 An additional bridge spanning I-95 was designed with a reverse curve in its desk. Spherical bearings were used to prevent the effects of temperature changes, wind and centrifugal forces from live load on the curved superstructure. The extension of the existing rigid culvert carrying I-95 over Red House Run required coordination with the roadway construction staging to maintain stream flow. Wing walls were designed to tie in to adjacent retaining walls along the widened sections of I-95. The headwalls of the culvert extensions and culvert wing walls were designed to carry all loads from the attached noise barriers. 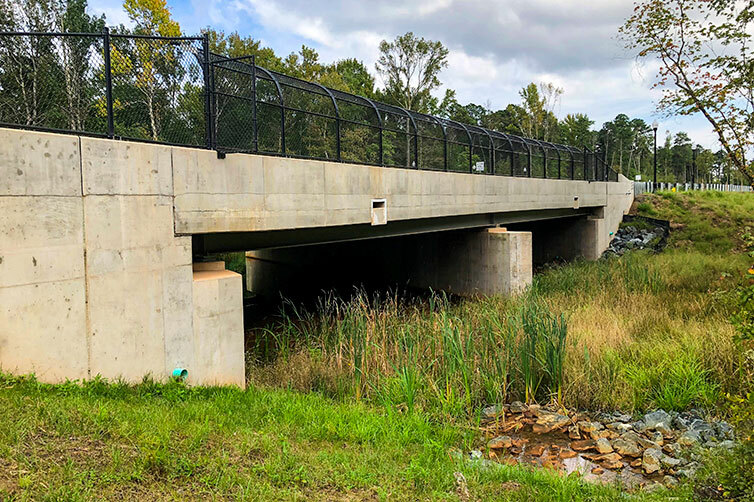 As part of Century’s services, two additional culverts under I-95 were rehabilitated, using slip lining to extend their life and significantly reduce maintenance of traffic and construction costs. Hydrologic, hydraulic and floodplain analyses were conducted for approximately 1,600 linear feet at Moores Run and Red House Run. Stream stabilization/rehabilitation measures were designed for approximately 800 linear feet. 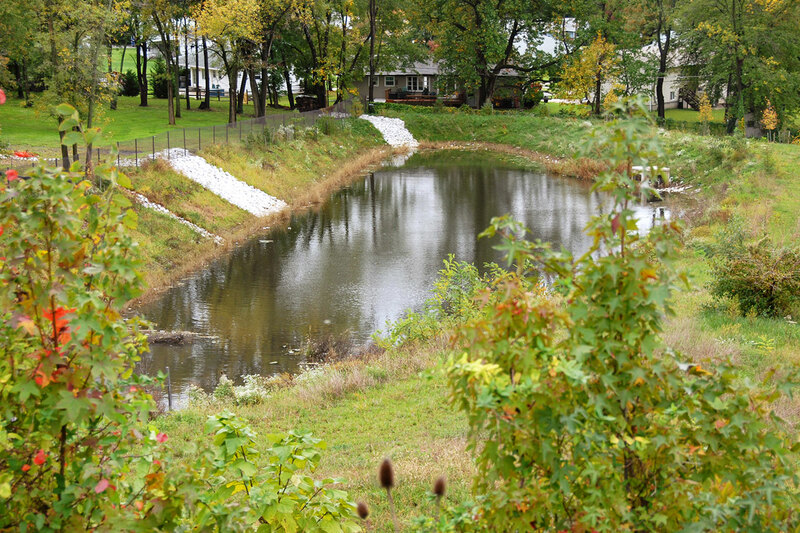 Additionally, seven stormwater management facilities were designed to address both quantity and quality control for twenty-five points of study. 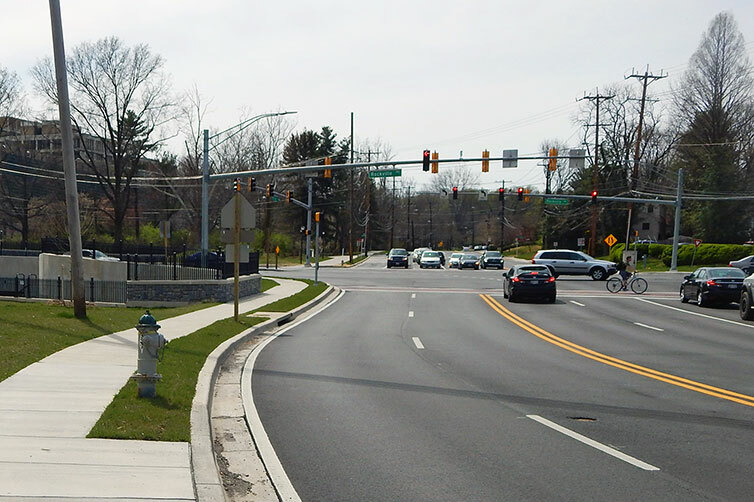 Erosion and sediment control plans were developed in conjunction with staged traffic control plans with over twelve major phases and detailed sequences of construction required for approval by the Maryland Department of the Environment.